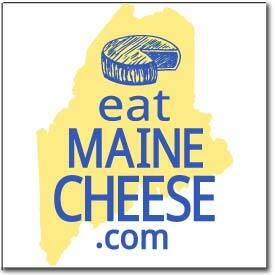 Course Description: Artisan cheesemaking is a great fit for sustainable farming. As a value-added component of a sustainable farming plan, cheesemaking can be another step in the holistic cycle of land to food. Today, the United States has nearly 1,000 artisan cheesemakers, with more starting up each year, associated with the renovated interest of American consumer for local, artisanal cheeses. However, the path to success in is not always easy, in part due to all the multiple factors involved in making good quality cheeses as well as the current competitive market. This training provides fundamentals and practical aspects from conceptualization to commercializations of your cheese to help you succeed in the market. Course Description: This five-day course is a practical and comprehensive technical guide to cheese technology and the principles governing the quality of cheese. During this intensive course, participants will learn the fundamentals of cheesemaking, quality control practices, and useful considerations in starting a small-scale cheesemaking business. The first section focuses on the chemistry of milk and the different aspects defining the quality of cheesemaking milk. The second part describes the principles of cheesemaking and the different families of cheese and also includes comprehensive hands-on demonstrations in making three different cheese styles: a fresh acid-coagulated soft cheese, a bloomy rind variety, and a semi-hard cheese. The last section of the program focuses on how to monitor and control the fundamental factors driving the quality of the product. Course Description: One of the main factors driving consumer choices is the sensory quality of the final product. This 1-day workshop will provide you with the fundamental tools to control and define the sensory quality of cheese, offering basic sensory training to describe and record the sensory characteristics of your cheese, as well as resourceful information and quality control systems to prevent defects in cheese. This intensive course, offered by cheese technologist and sensory scientist, Dr. Montserrat Almena (former VIAC instructor) combines practical hands-on exercises with technical lectures, making it very interesting and enjoyable but at the same time offering very valuable information to prevent making, selling or buying defective product. The course is also a unique opportunity to improve your food sensory skills and the understanding of cheese quality to everyone involved with cheese, from beginners and advanced cheesemakers, marketing and sales representatives to quality managers, technicians, cheese mongers, chefs and everyone else that would like to explore the fascinating world of cheese. Cheesemakers are welcome to bring samples of their products for evaluation, to get practical feedback from Dr. Almena. Posted in Events, Learning and tagged Vermont, workshops.